Oklahoma Connection | Wilson was born and raised in Pauls Valley, Oklahoma. 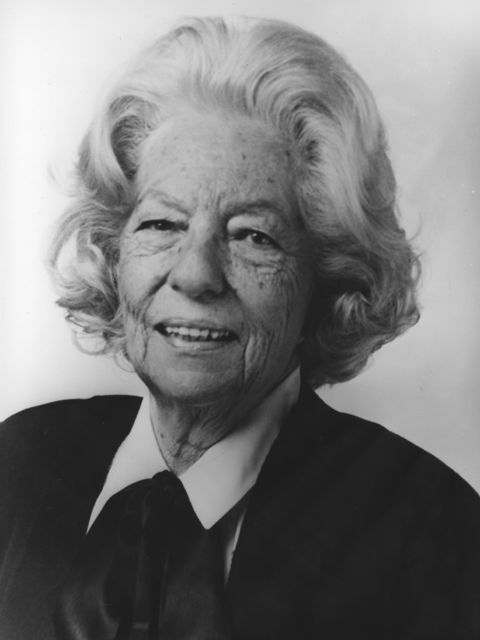 Alma Bell Wilson became the first female justice of the Oklahoma Supreme Court in 1982 and was the first woman chief justice of that court in 1995. Justice Alma Bell Wilson was only eight years old when she announced to her family that she would someday become a lawyer. She was the pianist during her graduation ceremony from Pauls Valley High School in 1935 and delivered the valedictory address that same evening. She graduated ahead of schedule from the University of Oklahoma College of Law in 1941 and returned to Pauls Valley as a tax attorney. She began pursuing a judicial appointment in the 1960s, was made special district judge for Garvin and McClain counties in 1969, then district judge for Cleveland County (1975), and was finally appointed to the state supreme court by Governor George Nigh in 1982. Justice Wilson received countless honors and awards for her tireless public service. She was a member of the OU Hall of Fame and twice was named Appellate Judge of the Year (1986 and 1989) by the Oklahoma Trials Lawyers Association.